An exclusive tour to discover LA! 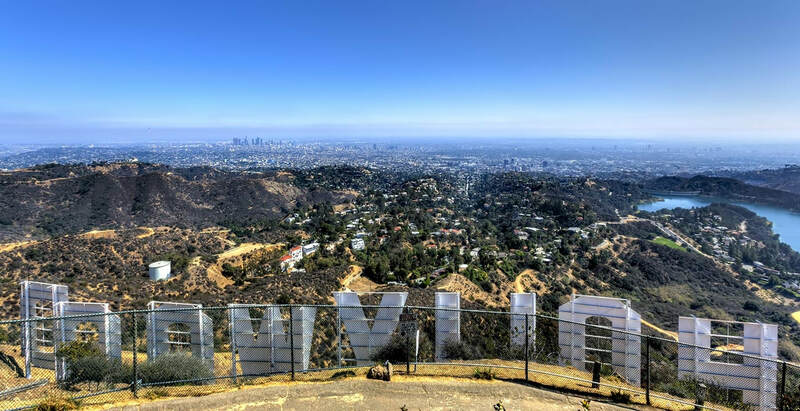 If you’re looking to enjoy the most complete Los Angeles sightseeing experience on the market, our Grand City Tour is perfect. This five-and-a-half hour tour showcases everything from moviemaking landmarks and opulent residential neighborhoods to architectural masterworks and historic treasures. Don’t forget your camera! You’ll see all kinds of famous sights on our Grand City Los Angeles tours. TCL Chinese Theatre: A historic gem, this world-famous cinema has hosted some of the most exclusive movie premieres in Hollywood history. Dolby Theater: Formerly known as the Kodak Theater, the Dolby Theater is the first permanent home of the glamorous Academy Awards. Hollywood Walk of Fame: Iconic terrazzo stars grace block after block of city sidewalks on Hollywood Boulevard and Vine Street. Can you find your favorite celebrities? The Hollywood Sign: Erected in 1923, this instantly recognizable landmark is now an American national monument. The Hollywood Bowl: This exclusive concert venue hosts the world’s leading recording artists, with past performances by the Beatles, the Rolling Stones, the Beach Boys, the Who, Genesis, Monty Python, Kanye West, and dozens of others. Farmers Market/The Grove: First opened in 1934, this is L.A.’s largest open-air market, with more than 140 shops and restaurants. Miracle Mile: Lined with museums, this was the first urban district in the United States designed around the automobile. La Brea Tar Pits: A unique natural landform, the La Brea Tar Pits houses fascinating fossils dating back to the Ice Age. L.A. County Museum of Art: Home to classical, as well as contemporary works, LACMA is widely considered to be the top art gallery in the western United States. Melrose Avenue: This trendy shopping district has been featured in countless movies and television shows. CBS Television: Many of America’s most popular TV shows have been filmed at this expansive studio complex, which first opened in 1952. Paramount Studios: See the last major movie studio still located in Hollywood proper. Sunset Strip: Nightlife hotspots, music venues, comedy clubs, and exclusive boutiques and restaurants line this famous stretch of Sunset Blvd. Olvera Street: Visit the historic “birthplace of Los Angeles,” with homes dating back to the early 19th century. Chinatown: The cultural legacy of America’s first modern Chinatown is as strong today as it was when the district was created in the 1930s. Staples Center: See the home of the NBA’s Lakers and Clippers and the NHL’s Kings. Microsoft Theater: This $2 billion entertainment complex spans six city blocks and is the permanent home of TV’s Emmy Awards. Walt Disney Concert Hall: Designed by world-renowned architect Frank Gehry, this spectacular concert venue is considered one of the most important examples of modern architecture in the United States. Cathedral of Our Lady: Built in 2002, the Cathedral of Our Lady is a revival of the definitive California Mission architectural style. Our Grand City Tour runs all year, with multiple departures for your convenience. Due to the popularity of our Grand City Tour, we recommend reserving your place on board at least 24 hours in advance. Book your tickets online today!